Eamon Leonard of the recently acquired Orchestra was first to speak. Orchestra is a platform for deploying, scaling and managing PHP applications and it is now being added to Engineyard’s Ruby PAAS offering. 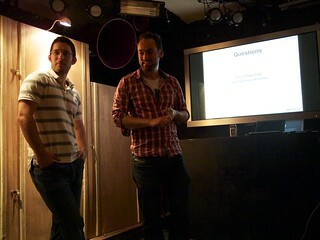 One of the most interesting points Eamon made was that he sees developers from different communities (e.g. Php, Ruby, Java…) constantly grappling with the same issues in slightly different contexts and sometimes reinventing the wheel without the need to. Eamon – we agree!! Since Logentries is a multi-platform service we have end users from a range of different backgrounds and we see them coming up against similar problems day in day out. I believe PAAS providers are helping here however, as we are starting to see sets of common tools (e.g. logging as a service, monitoring as a service etc.) being provided as add on services across the different platforms. This gives developers from different platforms a common set of tools no matter what language they are developing in and brings the communities closer together to solve issues together rather than in isolation. At Logentries we already have plug-ins that allow you to log from a range of platforms and languages (see here). Keep an eye out on your favourite PAAS platform in the coming weeks and months as we are soon to be added as official add ons – which will make integration even easier. Next up on the stage was yours truly with our ruby expert/intern Mark Lacomber giving our 2 cents on Logging on Ruby platforms and some of the nuances in relation to this. We hope this was useful – and judging from the level of questions afterwards – it seems like this is something of a hot topic for the Ruby community. 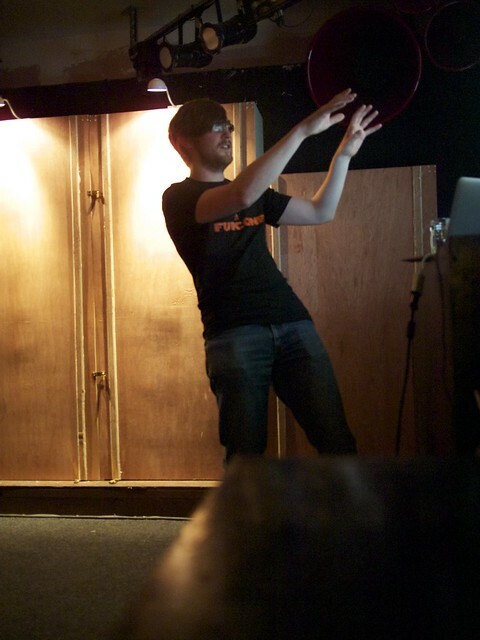 Last but not least was Paul Campbell (maker of http://useketchup.com, organiser of http://funconf.com and much more!) who introduced the new features of Rails 3.1 with much enthusiasm (see photo)!!! 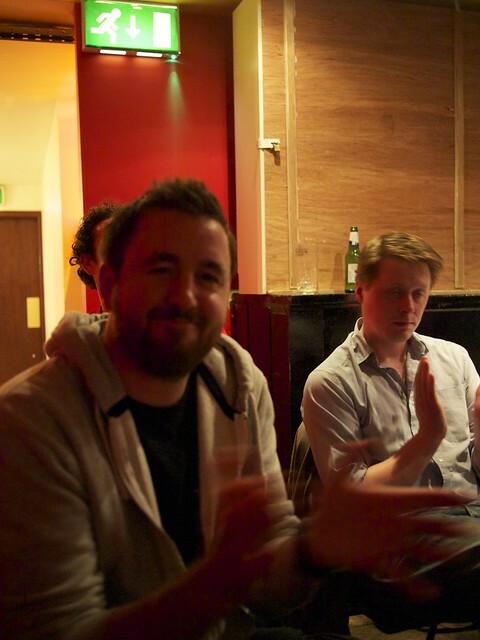 As usual an exciting/entertaining performance from Paul … and now I know something about what Rails 3.1 has to offer to boot … so an all round worthwhile evening with the Ruby Ireland folks! Looking forward to the next event! Thanks to Declan and Chris McGrath for organising and the lovely photos 🙂 ! !